If you want to increase sales online, you first need to get visitors to your website. How you bring visitors to your website is defined by your customer acquisition strategy. The first step in customer acquisition is to bring them to your website and convert them from visitors into customers. In this blog I will focus on this initial step, the acquisition. You can learn more about conversion in PART #2 – CONVERSION RATE OPTIMIZATION. If you want to create or increase your existing online audience, you need to have a customer acquisition plan. You can use this 7-step framework to create your customer acquisition strategy. You can also apply this framework to improve or validate your existing customer acquisition strategy. First of all, if you want to be good at acquiring new customers, you need to know who your target audience is. In a nutshell, good marketing is understanding your customers and finding effective ways to reach them and communicate with them. Think about your key customer segments for your travel business. Are they leisure travelers who organize their own trips? Maybe they’re business travelers whose travel is organized by administrators or travel management companies, or travelers who are visiting friends and family. These are just some very basic segments. You need to look at your customer data (quantitative and qualitative), understand your main segments, and create customer personas for your business. Knowing your customer personas and understanding their customer decision journey will enable you to define the best customer acquisition strategy. Persona building allows you to target relevant marketing content, to the right consumer segment, through the right channel. TIP: You can use Facebook and the power of their user data to get additional insights for your customer personas –> check here how. Amadeus, a global distribution and technology system, provides a good example of mapping different traveler personas in their “Future Traveller Tribes 2030” report. It gives a more futuristic outlook on different traveler segments and purchasing behavior for each segment. STA Travel, a youth-focused travel company, used this quiz to reach out to their target audience and create their Travel Tribes personas. Gamification is a good way to engage your audience and gather valuable customer insight. 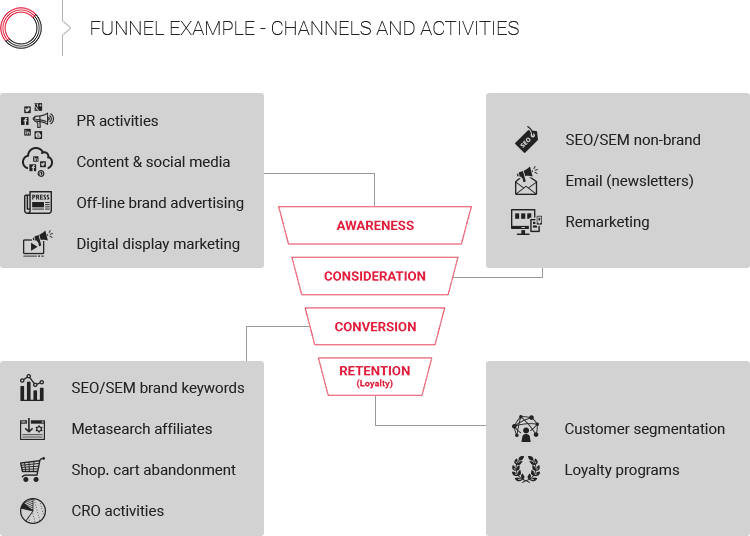 There are many different marketing and ecommerce funnel definitions out there. Choose one, or even better, create your own based on your understanding of your business and your customers. This is why Step 1 is so important. 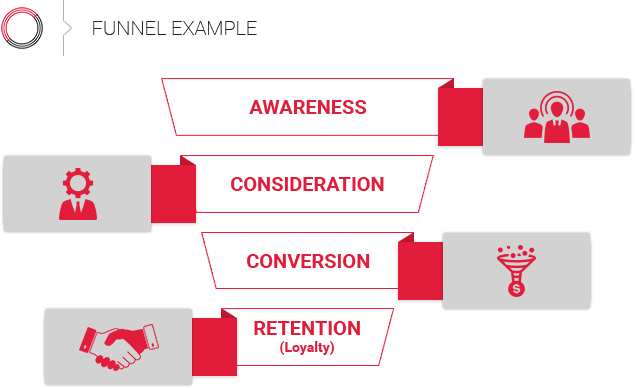 You need to understand the funnel and customer decision journey for your key customer personas. The form and number of stages in the funnel doesn’t really matter as long you are happy with it. What’s important is that you differentiate the phases of the funnel and align activities and KPIs based on them. Awareness, Consideration, Conversion and Retention (Loyalty). So, once you have the funnel defined, what’s next? Next, you think of your potential digital marketing and ecommerce channels that you use or you might use in the future. In addition, you can map the channels and activities to each phase of the funnel. In this example you can see how you can map your digital marketing funnel with the different activities and channels. Of course, you can have more activities, or you can use less. Also, the same channel can be used in the different funnel phases. The goal of this step is that you map all channels and activities that you use, and apply them to the different funnel phases. Once you have your marketing activities mapped to the phases of your funnel, you are ready for the next step. 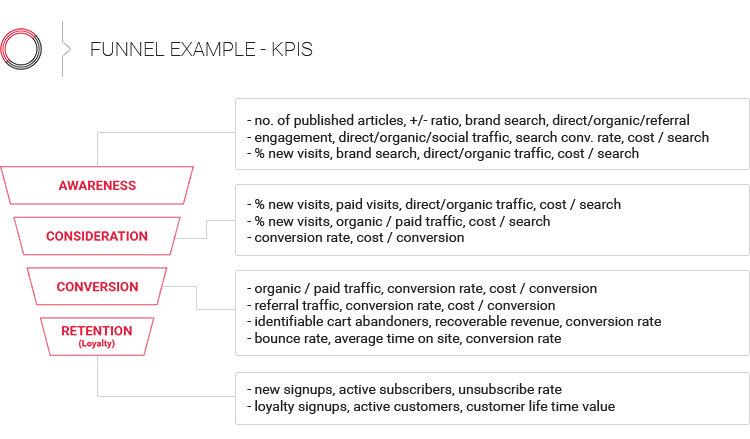 Similar to the funnel, there are a lot of different metrics and KPIs for digital marketing activities. Some are very sophisticated; some are very basic. My advice is the same as for funnel definition. Apply, or even better, create ones that suit your business and your funnel definition the most. Be pragmatic and apply the ones you will be able to measure on a regular basis. It is better that you have simple metrics and track them regularly, than to have sophisticated metrics that you never track. Again, the crucial part is to select the metrics that are aligned to your funnel and your digital marketing activities and channels. This is just an example of how you can align channels and activities with the key metrics. You can have less metrics, or you can have more. Usually you will identify one key metric for each channel/funnel phase combination. The goal here is that you apply proper metrics to different activities and channels. This will help you evaluate your ongoing marketing activities. Additionally, you will use your metrics to set the goals and expectations for your potential new activities. If you want to dig deeper into the definition of the key metrics for your digital marketing, Avinash Kaushik is one of the best resources. His Acquisition, Behavior and Outcomes framework is a good practical example that will show you how you can apply key metrics based on your business size and complexity. So far we’ve covered the “theoretical” part. You have your funnel defined and you mapped the activities and channels that you might use for the funnel phases. Finally, you defined your key metrics that you will use to evaluate your activities. But how do you start in practice? No situation is the same. You can’t just copy and paste somebody else’s customer acquisition strategy. If you are a small startup online travel agency, smaller hotel or car broker with limited resources, your strategy will be much different than the strategy of an established hotel chain or an established airline brand. How you define your customer acquisition strategy depends on various factors. Based on these factors you need to adjust your digital marketing strategy. This means you set your focus and select the appropriate activities and channels that you will use. For example, if you are a startup online travel agency (OTA), you will probably focus on the consideration and conversion part of the funnel. An established airline with a strong brand will try to generate demand for its new and existing routes. Consequently, more focus will be placed on the inspiration and awareness phase. KLM, Royal Dutch Airlines, is a good example of a travel company that executes a consolidated marketing strategy in all phases of the funnel. They cover the awareness and inspiration phases with a focus on content marketing and social media. Their blog and their innovation in social media activities is one of the best in the travel business. 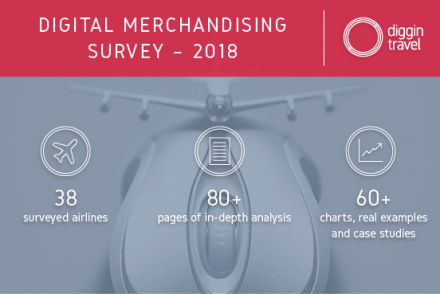 Our research (I’ve used SimilarWeb Pro and SEMrush for the research) shows they have one of the highest shares of social media traffic in the airline segment, at around 7–10%. Their overall channel mix is very balanced and reflects the activities in all phases of the funnel. Social media, content and brand-paid advertising result in direct, organic and social traffic. On the other hand, they use referral channels (kayak.com, skyscanner.com) and SEM advertising for the “bottom of the funnel” activities. Priceline group is an opposite example. Their main advertising focus for their brands (Booking.com, Rentalcars.com, Kayak.com and others) is performance advertising. They focus on search engine keyword purchases (Google adWords), referrals from metasearch and travel research websites, affiliate programs, and digital and mobile advertisements. 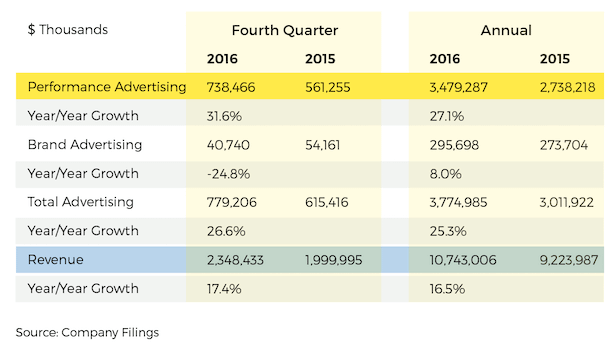 Based on this report performance advertising represented 92% of their total advertising spend, while brand advertising was only 8% of their advertising budget. Autoescape.com is another example of a travel company with a digital marketing strategy focused on a specific part of the funnel. They are an online car rental broker that re-sells car rentals online. Their focus is the French market, and the consideration and conversion part of the funnel. Our research shows that more than half of their traffic is referral or paid search traffic (SEM). They focus on an audience that already has a high intent of renting a car. Their main activities are SEM (AdWords) advertising, a combination of the car rental and destination keywords and comparison shopping channels (liligo.fr, kayak.fr, jetcost.com comparison sites). As you can learn from these cases, you need to fine-tune your customer acquisition strategy based on your needs. Once you have your strategy in place you can move on to the execution phase. Regardless of your business setup, it is not necessary for you to do all the activities in all the phases of the funnel from the start. The complexity can be overwhelming. You can start with focusing on a specific phase in the funnel. Then, as you advance in knowledge and experience and grow your online audience, you can add more activities. This way, you will build your consolidated customer acquisition strategy step by step. My advice for beginners and those who lack the resources is to always start with the bottom-up approach. This means to focus first on the conversion and consideration phases of the funnel. First of all, focusing on these phases will allow you to gain confidence and optimize your budget. Consequently, it will be easier to justify your marketing activities with your management for further marketing investments. What is important to know is that in the consideration and conversion phases, you don’t generate demand. You just try to be there when the customer shows the intent of searching for and buying your products. This is called demand fulfilment. Typical demand fulfilment activities are Search Engine Marketing (SEM) and metasearch presence. For example, advertising your destinations and products in the Google AdWords. Being present with your destinations on the key metasearch websites like Skyscanner, Kayak or TripAdvisor (bookingbuddy.com is their comparison shopping platform). Demand fulfilment activities will result in direct bookings and have reasonable conversion rates. Apply performance marketing KPIs and metrics for these activities. Conversion rate, cost per booking, revenue per booking and margin are some of the key metrics for demand fulfilment activities. Once you grow your travel business and your website audience, you can move up in the funnel to the awareness phase. 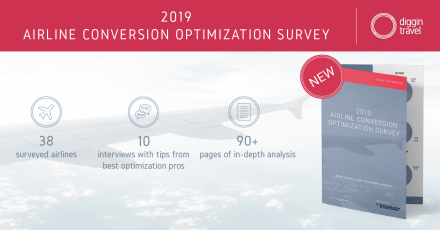 On the other hand, if you’ve already covered all the potential in the conversion and consideration phases, you need to move up in the funnel. In this case it’s helpful to focus more on demand generation. 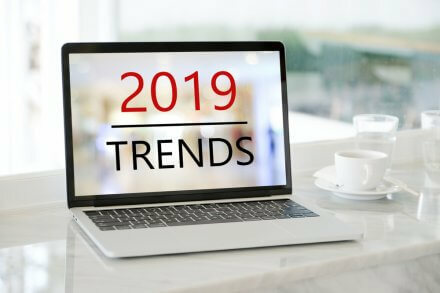 You can use promotional display advertising, inspirational content, and engaging social media activities to raise awareness for your brand and products and generate demand. Brand search, share of voice, percentage of new traffic and cost per search are some of the metrics you can use. Cost per search is a good metric for travel websites. It shows how effective you are in attracting relevant visitors. This metric measures the visitors that showed an interest by performing a search for your product. New players and new market entrants usually rely heavily on paid traffic, as it is difficult to build their own channels at the beginning. Digital advertising and referral traffic are two options for quick market entry. In the travel industry the most significant referral traffic sources are metasearch and travel comparison sites. Search Engine Marketing (SEM) works on a cost-per-click (CPC) model and can be a quick way into the market. This is especially relevant if your online marketing strategy focuses on demand fulfillment. By advertising in the search engines on your key keywords (usually product and destination combinations), you can target travelers in the consideration and purchase phases of their customer decision journey. Google owns most of the SEM market in the U.S. and Europe. In other regions and markets there are other major players, like Yandex in Russia or Baidu in China. Unfortunately, the travel industry is highly competitive, with many players bidding on the same keywords, resulting in constantly increasing CPC costs. With the reducing margins, running profitable Google AdWords campaigns is becoming more and more challenging for most travel advertisers. Facebook is the major player in digital display advertising in the travel industry. Its segmentation and targeting possibilities make Facebook the best digital display advertising platform for travel industry at the time of writing. Advertising on Facebook is suitable if your marketing activities aim for demand generation and awareness. Facebook campaigns also work well for list building – to build your audience and email subscribers. Just keep in mind that reaching your Facebook audience is not free. Organic reach is constantly declining, so brands need to combine it with paid advertising to effectively reach their audience. Facebook is constantly evolving its advertising platform. With its special features designed for travel, Facebook enables travel marketers to find people who show travel intent (Trip Consideration) and convert travel intent into bookings (Dynamic ads for travel). Facebook and Twitter are also used extensively for customer support. In this area the travel industry is a leader, with innovative companies like KLM pushing the boundaries of social media customer support. Metasearch is becoming the most popular method of online research in the travel industry. People love to compare prices, and price is the number-one factor when booking travel. A metasearch referral channel can be a quick way into the new markets for existing travel companies and a critical traffic source for new travel startups. It is an especially important channel for hotels and car rental companies. Metasearch channels, similar to Google AdWords, are used mostly for demand fulfilment campaigns. You can target the travelers that show strong (search) intent for your travel product. Similarly to Google AdWords, you need to pay –usually a cost-per-click model – to be present in the metasearch listings. The downside of metasearch traffic is that it usually has the lowest average booking values compared to other channels. This is because price is the most important factor in metasearch display rankings. The jury is still out on where Google is going with its own designated travel products (Google Flights Search, Google Hotel Finder). It seems the move is towards metasearch, and with direct booking capability, maybe even towards OTA. This will affect the AdWords strategies of Google and travel advertisers as they are major player in AdWords advertising. Airbnb is another player to watch. With the announcement of the new Trips platform, Airbnb revealed its ambitions to become a “super brand” of travel. Building your own traffic channels needs to be the ultimate goal of your customer acquisition strategy. Having your own channels reduces the cost of acquisition and improves margins. It allows brands to communicate with their customers directly and throughout the customer journey. Building your own digital channels requires a consolidated and smart digital marketing strategy. Use paid traffic to acquire a visitor or a customer, but continue the engagement through your own channels. Think email signups when creating social campaigns. Have SEO in mind when you plan and produce content. Consider backlinking when you agree on partnerships and produce PR. Create loyalty and promotional schemes that will benefit your users when using your own channels. Always think about how to support the growth of your own channels when planning marketing activities. Customer acquisition is the first step in growing your online sales. Make sure you know your customers and their customer decision journey. Understand your funnel and apply KPI metrics for each phase and channel. Start from the bottom up, and use paid channels wisely. Building your own channels for customer acquisition should be your strategic goal. This will allow you to use your marketing budget on customer retention and the other two items from the initial revenue equation: increasing conversion rate and increasing the average order.